On November 3rd, composer Eric Moe visits the Center for a masterclass with graduate students and a talk about his compositional work. Currently Andrew W. Mellon Professor of Composition and Theory at the University of Pittsburgh, Moe has been active as composer, pianist, arts administrator, and curator for decades. 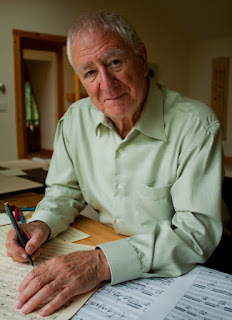 His work has been recognized by many of the most prestigious honors available to an American composer: a Guggenheim Fellowship, an Aaron Copland Award, and a Lakond Award from the American Academy of Arts and Letters, and commissions from the Barlow Endowment, Fromm Foundation (twice), Koussevitzky Foundation (twice), Meet the Composer, New Music USA, and the Pittsburgh Symphony Orchestra. After graduate studies at the University of California at Berkeley, he taught at the University of California Santa Cruz and San Francisco State University before joining the faculty at the University of Pittsburgh in 1989. Moe’s compositional work explores a range of formats—acoustic and electroacoustic, instrumental and vocal, concert music and theater (often with video). Moe writes that “I am fascinated by virtuosity, and showcase different flavors of it in solo compositions, concerti, and in concert.” The composer’s 2007 clarinet-piano duo Grand Prismatic illustrates his project of a multifaceted virtuosity. While conventional notions of virtuosity often emphasize speed and volume above all else, Moe cultivates a much broader range of virtuosities in his duo. While parts of the piece invoke a conventionally extroverted, assertive virtuosity, other passages foster an introverted, delicate virtuosity, particularly in the rapid hushed passages at the work’s end. Moreover, the work’s approach to virtuosity extends beyond mere execution of passagework, to more holistic aspects of live ensemble performance. The piece also invites a virtuosity of interpretation from its performers, requiring unusually detailed attention to phrasing (for instance in near-repetitions of rapid melodic figures) and agility in navigating rapid-fire shifts in character. Moreover, the piece’s dovetailed rapid rhythmic figurations encourage heightened nimbleness in ensemble coordination. The work was commissioned by UB clarinet professor Jean Kopperud. Her recording of the piece with pianist Stephen Gosling, a frequent guest artist at the Center, is below. Also active behind the scenes as an administrator and curator, Moe is co-director of the University of Pittsburgh’s “Music on the Edge” concert series. The series has produced numerous ambitious, innovative concerts over the years, and often partners with the Center for 21st Century Music to bring highly regarded ensembles and soloists from Europe to the US. This year, the partner institutions will present concerts and workshops by the Parisian Ensemble Court-Circuit in April. On October 24, the Center for 21st Century Music’s resident chamber ensemble, the Slee Sinfonietta, presents a portrait concert of Bernard Rands, as the composer receives an honorary doctorate from the State University of New York (ticket information is available here). The concert features two large-scale works by Rands, together with works by his former teacher, the late Luciano Berio, and by his former student, Center for 21st Century Music Artistic Director and SUNY Distinguished Professor David Felder. Rands is among the most lauded living composers. He won the Pulitzer Prize (1984), a Grammy award (2000), the Kennedy Center Friedheim Award (1986), and was inducted into the American Academy of Arts and Letters in 2004. His work has consistently been featured by the most prestigious art music institutions globally. 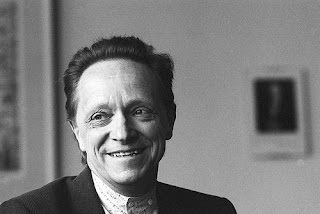 He was composer in residence with the Philadelphia Orchestra for seven years, and his works have been conducted by the likes of Barenboim, Boulez, Davis, Eschenbach, Maazel, Marriner, Mehta, Muti, Ozawa, Rilling, Salonen, Sawallisch, Schwarz, Slatkin, Spano, von Dohnanyi, and Zinman, among many others, and commissioned by Suntory Concert Hall in Tokyo, the New York Philharmonic, Carnegie Hall, the Boston Symphony Orchestra, the Cincinnati Symphony, the Los Angeles Philharmonic, The Philadelphia Orchestra, the BBC Symphony Orchestra, the National Symphony Orchestra, the Internationale Bach Akademie, the Eastman Wind Ensemble, Chicago Symphony Orchestra and the Cleveland Orchestra. In 2014, Rands’s 80th birthday was marked by the premiere of a piano concerto by Jonathan Biss, with the Boston Symphony Orchestra conducted by Robert Spano, followed by repeat performances by Biss with the Leipzig Gewandhausorchester conducted by Sir Andrew Davis, and with the BBC Scottish Orchestra conducted by Markus Stenz at the BBC Proms. That year, the BBC also devoted its three-day FOCUS festival entirely to Rands’s music, the Tanglewood Festival presented the premiere of Folk Songs (also featured on the Slee Sinfonietta’s upcoming concert), and Bridge Records released a CD "Bernard Rands – Piano Music 1960 – 2010" featuring the playing of Ursula Oppens and Robert Levin. In 2014, Rands also appeared as faculty composer at June in Buffalo, where numerous large-scale works were presented: his complete piano preludes, two ensemble works, and his orchestral piece …where the murmurs die…. 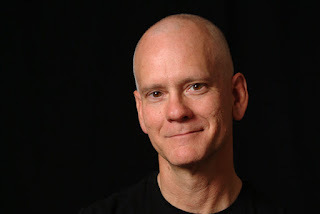 Rands has a decades long history appearing as faculty composer at June in Buffalo, where he has appeared particularly frequently (2006, 2009, 2010, 2014, 2015) since the formation of the Center for 21st Century Music. The Slee Sinfonietta portrait concert will feature two Rands works, “now again” – fragments from Sappho and Folk Songs, both for voices and chamber orchestra. “now again” (2006) sets poetic fragments of ancient Greek poet Sappho for three voices and chamber orchestra. Fanfare magazine writes that the piece presents “a montage of fragments [that] somehow coalesces to create a portrait of Sappho and her ancient world…it's a puzzle that comes together to form more puzzles.” The work has been widely praised in high-profile newspaper reviews, with the Philadelphia Inquirer writing that “as with all great pieces, so much was implied by so little,” while the Chicago Sun Times praising its “welcome marriage of precise technique and sensuous lyricism and scoring.” Also on the program is Rands’s recent Folk Songs (2014), nine re-imaginings of folk songs in their original languages; the composer calls the work “semi-autobiographical” because each song originates in a region where he has spent significant time: Bavaria, England, Ireland, Italy, Mexico, USA, and Wales. The program also features works by Rands’s former teacher Luciano Berio and former student David Felder, connecting Rands’s lauded works in a broader historical context and connecting them to the Center for 21st Century Music. Berio’s Linea (1973) is a virtuoso work for two pianos and percussion emphasizing constant and often drastic variation of a simple melody. David Felder’s Coleccion Nocturna (1983) for clarinet (doubling on bass clarinet), piano, and tape also takes processes of variation as its point of departure, presenting five variations on what the composer describes as "a wholly self-contained musical object" from his piano solo Rocket Summer. Significantly, the piece was the final piece written during Felder’s doctoral studies with Rands at UCSD. The concert also commemorates Rands’s role in the revival of June in Buffalo in the late 1980s. Started in 1975 by then Edgard Varèse Distinguished Professor Morton Feldman, the festival had since lapsed into inactivity in the years before the festival’s current director David Felder arrived at UB. Felder restarted June in Buffalo in 1986, expanding it with opportunities for student composers to have works performed at a professional level (a model that his since been adopted by new music festivals worldwide). This format was based on an earlier festival Felder had spearheaded while Visiting Professor at California State University—Long Beach in the early 1980s, a festival which had featured Rands and Felder’s earlier teacher Donald Erb as faculty composers. Rands played an integral role in the transplantation of this model to UB, lending energy, time, and expertise by setting up contacts with funding agencies, sending students to the festival, and talking up the festival throughout the new music world. On Saturday, October 14, the Center for 21st Century Music presents a performance of Karlheinz’s Stockhausen’s acclaimed concert-length work Mantra, featuring UB piano professor Eric Huebner and guest pianist Steven Beck. Performed only rarely due to its length and logistical complexities (see below), Mantra is a historically significant piece, particularly notable for augmenting the piano with percussion and live electronics and for pioneering a new musical style that is both melodic and modernist. The 65 minute work for two pianists (each also with woodblocks and crotales) and live electronics (primarily ring modulators) was completed in 1970. 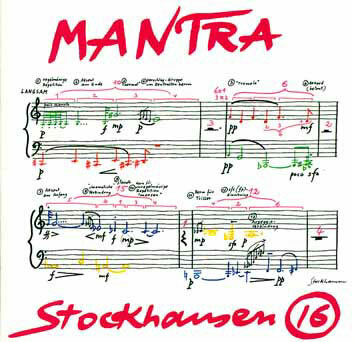 Mantra marks a striking shift in Stockhausen’s style, and more broadly, as Robin Maconie writes, it “defines Stockhausen’s aims for the 1970s” and beyond, presaging the melodic structures that form the bedrock of LICHT, the cycle of seven operas that preoccupied the composer from 1977 to 2003. While many of Stockhausen’s works from the 1960s feature extended playing techniques (Mikrophonie I) and unusual sound sources like radios (Kurzwellen), Mantra features equal-tempered pitches on pianos. Likewise, while many of his 1960s works explored notational indeterminacy via open form (Momente), open-ended symbolic notations (Plus-Minus), and verbal prompts for “intuitive music” (Aus den Sieben Tagen), Mantra is a through-composed score in staff notation. The work’s title refers to a 13 note melodic cell (heard near the work’s outset) that forms the piece’s foundation: the entirety of the piece can be related to it through audibly traceable processes of repetition and variation. The pitch, rhythmic, and textural attributes of this cell function as “kernel” for piece as a whole, in a synthesis between the serial procedures of Stockhausen’s 1950s music and 18th-19th century practices of organic thematic transformation. See below for a video of the composer explaining the work’s construction in detail. Both pianists bring to the performance extensive backgrounds in new music and classical music. 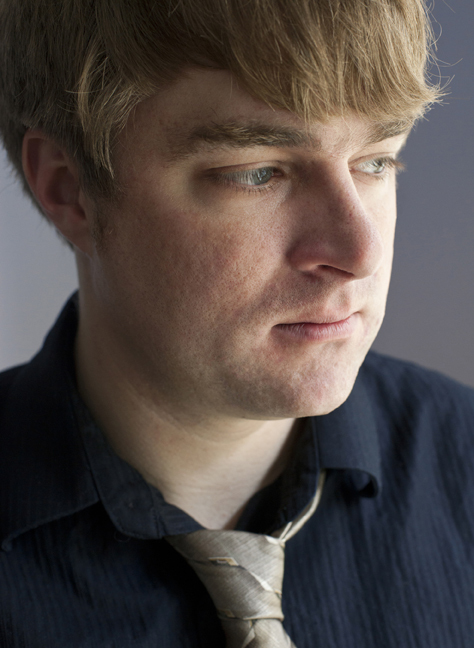 Eric Huebner is currently Associate Professor at the University at Buffalo, pianist of the New York Philharmonic, and adjunct faculty at the Juilliard School. After making his debut with the Los Angeles Philharmonic at age 17, he has appeared at prestigious venues such as the Ojai Festival, Monday Evening Concerts, Carnegie’s Zankel and Weill Recital Halls, Miller Theatre, Merkin Hall, (le) Poisson Rouge, and Roulette. From 2011-12 he was a member of the award-winning chamber ensemble Antares, and he has also appeared with numerous NYC-based contemporary music ensembles, including the International Contemporary Ensemble, Talea, New York New Music Ensemble, American Contemporary Music Ensemble, Manhattan Sinfonietta, So Percussion and the American Modern Ensemble. His performances have been broadcast on PBS, NPR, WNYC (New York), Radio Bremen (Germany), ORF (Austria) and the BBC, and recorded on Col Legno, Centaur, Bridge, Albany, Tzadik, Innova, New Focus Recordings and Mode Records. Huebner will be joined by Steven Beck, a frequent guest performer at June in Buffalo. As soloist, Beck has appeared with the National Symphony Orchestra, the New Juillliard Ensemble (under David Robertson), and the Virginia Symphony. He has performed at prestigious venues such as the Kennedy Center, Alice Tully Hall, Carnegie Hall’s Weill Recital Hall, Merkin Hall, Miller Theater, and Tonic, Aspen Music Festival, Lincoln Center Out of Doors, and Bargemusic, and with respected ensembles such as Talea Ensemble, Speculum Musicae, the Da Capo Chamber Players, the Manhattan String Quartet, the Pacifica String Quartet, The Metropolis Ensemble, the New York New Music Ensemble, the Orchestra of the S.E.M. Ensemble, and the American Contemporary Music Ensemble. I'm writing to let you know about a concert that I've been working toward for over a year. This Friday night at 7:30, a group of UB performers and professionals from the region will play a program of music by composers associated, both currently and formerly, with UB Music. We're thrilled to have Moshe Shulman and Robert Phillips represented on the program, both of whom received doctoral degrees in composition at UB. Moshe is well known to many in the area for his tango exploits, and he'll be conducting his wonderful Seven Prophetesses for soprano, harp, and string quartet. Moshe was commissioned by the Fromm Foundation for this work, and you'll hear that he really delivered! Outstanding soprano Tiffany DuMouchelle, newly appointed at UB, will sing. Robert Phillips recently returned to Buffalo to manage the Center for 21st Century Music, following several years in Berlin, and we're delighted to welcome him back by performing his Larghetto Rubato for guitar, cello, and bassoon. It's a really intriguing and beautiful work composed for an all-star trio of European musicians (Magnus Andersson, Rohan de Saram, and Pascal Gallois) who were at UB for a visiting residency back when Rob was earning his degree. Sungmin Shin, UB guitar faculty, leads our performance of the trio. Belgian composer Henri Pousseur was in Buffalo from 1966 to 1968, serving as Slee Professor of Composition, giving a series of "lecture recitals," and living in the Delaware building now known as "The Mansion." During that time, he was working to finish his magnum opus, an opera in collaboration with French novelist Michel Butor, who had also been on the UB faculty several years before. They referred to their work, Votre Faust (Your Faust) as a "variable opera," and it was a compendium of music that could be shaped by its performers in many ways, but was also open to the intervention of the audience, who would determine, among other things, the way the story ended! Votre Faust was premiered in a concert version in March 1968 at the Second Buffalo Festival of the Arts Today (at the Albright Knox), and this is the (near) 50th anniversary we are celebrating. Pousseur adapted his music for the opera into a series of works he called "satellites," and we will be playing some of these Friday night. The performers are Tiffany DuMouchelle, pianist Eric Huebner, flutist Emlyn Johnson, and myself. This music is unrecorded, and the chances to hear it are quite few. In addition to the concert, which begins at 7:30pm in Lippes Concert Hall (Slee Hall), we will have two related events. The first is a lecture on Thursday at 5 given by visiting composer and Pousseur scholar Andre Brégégérè (NYC). The second is a panel discussion including Brégégérè, UB Music's own Jamie Currie, and Romance Languages and Literatures Professor Fernanda Negrete. Thursday's lecture will be be held in Baird 327, and the panel, which will include live music, will be at 4 on Friday in the Music Library. While you're there, be sure to spend some time looking at the tremendous exhibit curated by the Music Library's John Bewley on Pousseur in Buffalo! The concert and panel discussion are funded by the University Library's Wolf-Steger Fund and by the Center for 21st Century Music. The Wolf-Steger Fund supports the presentation of the work of Buffalo composers through an endowment from the late UB music faculty member Muriel Wolf and her husband, bassist Albert Steger, a longtime member of the Detroit Symphony Orchestra.